DGL provided detailed design and construction phase services for the rehabilitation of the Parks Tower walkway and retaining walls. The existing walkway connected the Parks Tower main entrance with the Parks Tower Service Drive. 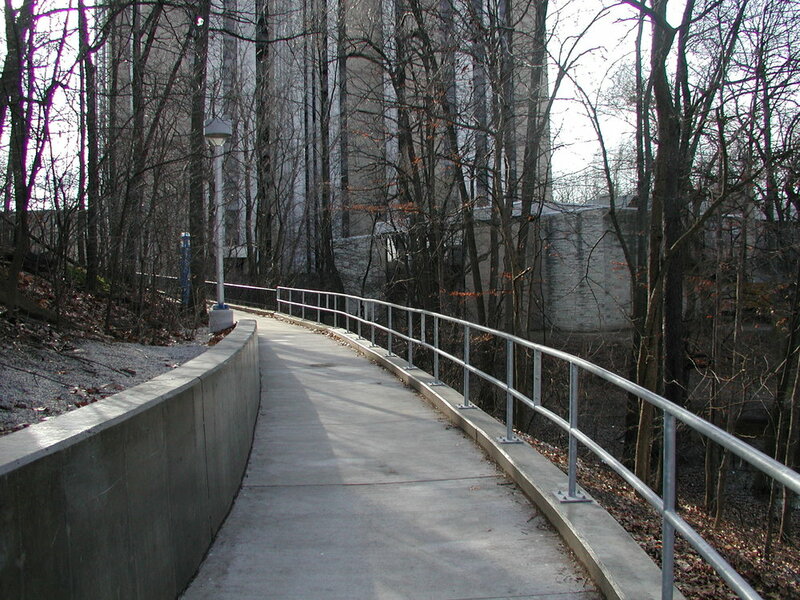 This walkway was situated along a wooded hillside and had a grade change of approximately 15 feet. DGL concluded the most cost effective and practical alternative was to use soldier pile with reinforced concrete facing. This alternative was best suited for the location and required the least disruption to the existing environment.